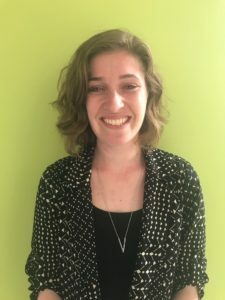 Manager of the Youth Programs for the Jewish Council on Urban Affairs, Hannah Arwe is the 2017 recipient of the $5000 Mintz Family Foundation Award for Creative Jewish Education. Her innovative program, “Or Tzedek Teen Institute for Social Justice,” provides opportunities for teens to build and implement skills in community organizing and advocacy in greater Chicagoland. Enriched by Jewish text, tradition, and ritual, participants explore the concepts of privilege, power, and oppression, and unpack root causes of injustice. Ms Arwe explains that “the teens visit and take action with organizations engaged in social change.” Addressing a number of critical issues, such as affordable housing, homelessness, hunger, immigration reform, education, workers’ rights, gun violence prevention, and food justice, the participants learn to understand social justice and systems of oppression from a root cause perspective, build the skills necessary to be productive allies to diverse communities directly impacted by injustice, and strengthen and shape their own Jewish identity. The Mintz Family Foundation for Creative Jewish Education is now accepting applications for the 2018 Award and can be found at http://www.MintzFn.org . For more information contact Rabbi Yocheved Mintz at 702-869-2700. Founder and head teacher of the School for Creative Jewish Education, in Brooklyn, New York, Mishael Shulman, is the 2016 recipient of the $5000 Mintz Family Foundation Award for Creative Jewish Education. His innovative program was the successful SCJE theme of the year “The Year of the Singer/Songwriters”. Designed originally to engage and excite non-observant, mostly unaffiliated Jewish children, along with their families, it is an experiential theme-based approach. Through a series of physically active and intellectually provocative lesson plans using songs and the life stories of the Jews who wrote them, Jewish holidays, bible stories, history and ideas are conveyed. The lessons are reinforced in a “Ma’agal” (circle) of song, discussion, and prayer to which the whole family is invited. Community events like Shabbat and holiday services, and Tsedakah-oriented field-trips complete the picture. By utilizing music and song-writing, this innovative approach helps children learn to see themselves as part of Jewish history, actively participating in the Jews’ ongoing song to God. “The Year of the Singer/Songwriters” helps empower students to redefine Judaism for themselves through song, dance, study, creative writing, contemplation and peer-and-family interaction, engaging children in Jewish tradition and a rich history of the Jewish struggle with and celebration of life. To find out more about Misha Shulman, go to http://www.schoolforcreativejudaism.com. The Mintz Family Foundation for Creative Jewish Education is now accepting applications for the 2017 Award and can be found at http://www.MintzFn.org . For more information contact Rabbi Yocheved Mintz at 702-869-2700. Founder and Rosh Yeshiva of SVARA: A Traditionally Radical Yeshiva, Rabbi Benay Lappe, is the 2015 recipient of the $5000 Mintz Family Foundation Award for Creative Jewish Education. Bringing the tools of Talmud study and legal inquiry to LGBTQ Jews, Rabbi Lappe has not only reached this underserved community but has empowered and enfranchised LGBTQ Jews to help Jewish law continue to evolve through the insights of the marginalized. Rabbi Lappe conducts all text study in the original Hebrew/Aramaic and has been invited to conduct Shabbatonim, discussion groups, Talmud retreats, teacher-training, and think tanks throughout the country. She has delivered a stimulating Eli Talk (http://elitalks.org/unrecognizable-jewish-future-queer-talmudic-take) and is one of this year’s recent recipients of the coveted Covenant Award. The Mintz Family Foundation for Creative Jewish Education is now accepting applications for the 2016 Award and can be found at http://www.MintzFn.org . For more information contact Rabbi Yocheved Mintz at 702-869-2700. We are pleased to announce that Mr. Billy Planer is the 2014 recipient of the $5000 Mintz Family Foundation Award for Creative Jewish Education. Mr. Planer created, developed, and has been implementing “Etgar 36,” a unique 36-day summer program for Jewish teens that has them travel across America, learning about history, politics, and activism, thereby developing and strengthening their American and Jewish identity, and motivating them to get involved and be agents for positive change. Having positively affected over 15000 teens since the inception of the program in 2002, many of these teens have gone on to leadership roles, having a uniquely hands-on understanding of the role of Judaism in the American scene. In addition to the teen enterprise, Etgar 36 now has 3 to 6 day educational trips for students in Jewish Day Schools, and youth, adult, and inter-religious groups. The non-profit enterprise now serves over 1200 people a year. The Mintz Family Foundation for Creative Jewish Education is now accepting applications for the 2015 Award and can be found at MintzFn.org. For more information contact Rabbi Yocheved Mintz at 702-869-2700. Adult learners have long needed a gateway entry to Talmud studies and have often felt it was too esoteric to even try to understand. Joel Lurie Grishaver pioneered an innovative approach to Talmud with his Talmud with Training Wheels series, published by Torah Aura Productions, of which he has been co-owner and creative chair since 1991. The appeal of the Talmud with Training Wheels extends to both beginners and more experienced students in that it both introduces and expands the Talmud within a relatable context; therefore, we are pleased to present Joel Grishaver with the $5000 Mintz Family Foundation Award for Creative Jewish Education for 2013. 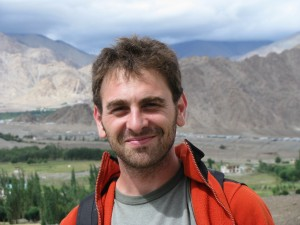 Mr. Grishaver is a well-known writer, editor, and teacher throughout the United States. His books and series include Zot HaTorah, The All New Shema is for Real, The All New Torah-Toons (with C.J. Glass), Now I know My Alef-Bet, A Child’s Garden of Torah, And You Shall Be a Blessing, 40 Things You Can Do o Save the Jewish People Jewish People: A Teacher’s Guide (with Ron Wolfson), and The Binding of Isaac, as well as interactive, electronic, adult Torah study and high school curricular publications (written in cooperation with teams of teens). He has been teaching around the world, averaging 25 week-ends annually. He has been a consultant to the Whizin Institute and co-chaired the 22nd annual CAJE Conference, in Stanford, California (1997) and has taught at every Limmud Conference in Great Britain since its inception. The Talmud with Training Wheels is written ideally for groups of students with a knowledgeable teacher, but is also applicable to well-motivated individuals who wish to study on their own. Joel Lurie Grishaver can be contacted at Torah Aura Productions, 4423 Fruitland Avenue, Los Angeles, CA 90058. The Mintz Family Foundation for Creative Jewish Education is now accepting applications for the 2014 Award and can be found at MintzFn.org. For more information contact Rabbi Yocheved Mintz at 702-869-2700. A rabbi is, by definition, a teacher, and Rabbi Morey Schwartz is a teacher par excellence. 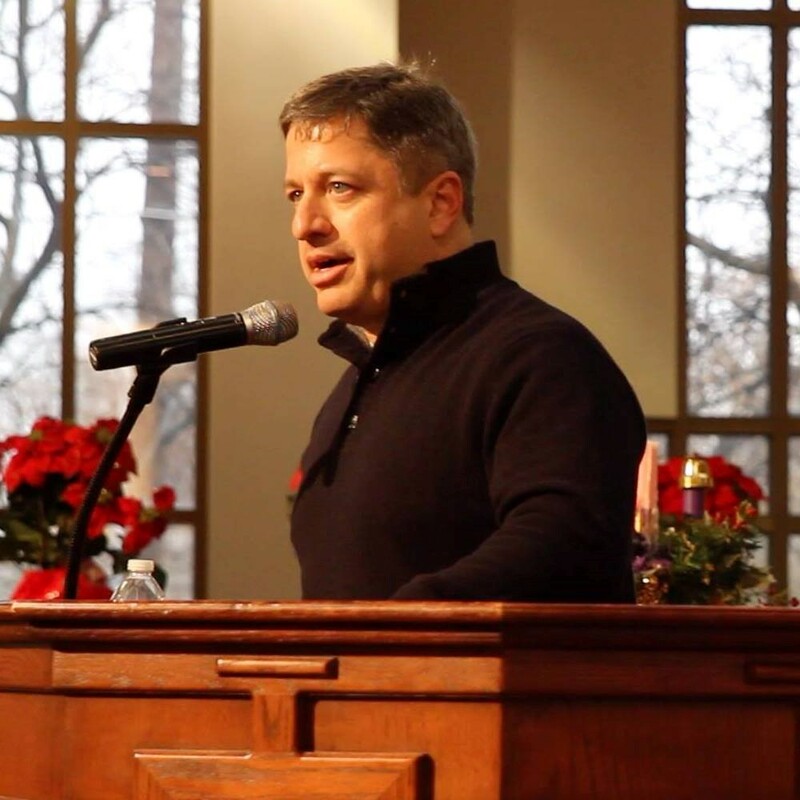 He is a graduate of Yeshiva University, with a Master’s from the Bernard Revel Graduate School, and ordination from the Rabbi Isaac Elchanan Theological Seminary. Morey has lived in Israel with his family since 2000. He’s the author of Where’s My Miracle? : Exploring Jewish Traditions for Dealing with Tragedy (Gefen Publishing, 2010).Having worked in Jewish day schools in New York and Kansas City in the ‘80’s and ‘90’s, as a congregational rabbi and Melton teacher in Overland Park, Kansas, and then as Director of Education for the Florence Melton School for Adult Jewish Learning (formerly the Florence Melton Adult Mini-School Institute, at the Hebrew University of Jerusalem, Rabbi Schwartz has influenced thousands of students. The level of adult Jewish education in the over fifty schools in the Melton system has raised the bar over the past twenty years, and Rabbi Schwartz has been a major figure in the development of the Melton curriculum. The success of the Melton education two-year core Melton learning experience created a need for a graduate curriculum for those who were eager to continue their studies. 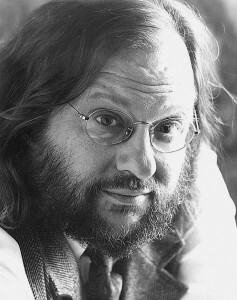 As a result a “Scholars Curriculum” was proposed, resulting first in “Shiv’im Panim—the Seventy Faces of Wisdom Curriculum,” for which we honor Rabbi Schwartz with the 2012 Mintz Family Foundation Award for Creative Jewish Education. The Shiv’im Panim Curriculum consists of seven 10-week modules based on 70 different Torah passages, spread over 70 lessons, wherein, as Rabbi Schwartz explains, “students…encounter varying interpretations of the text and consider contemporary implications of these perspectives in their own lives.” In addition to the commentaries, students are also offered interpretation through art, a new enrichment of the Melton program. Students have reported building closer emotional ties to the text, as a result of the addition of the artworks component. Mazal Tov to Rabbi Schwartz for all he has contributed to worldwide adult Jewish learning. For more information about the Mintz Family Foundation for Creative Jewish Education, Rabbi Morey Schwartz, or the Melton School for Adult Jewish Education, contact Rabbi Yocheved Mintz, gkmintz@aol.com. One of the most exciting innovations in Jewish education in recent years has been the Gan Gani Hebrew immersion program for early childhood pioneered by Etty Dolgin, at the Moadon Kol Chadash , and its success has garnered her the $5000 Mintz Family Foundation Award for Creative Jewish Education for 2011. 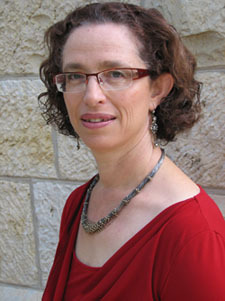 With degrees from Tel Aviv University, the Spertus College of Jewish Education, and, most recently, a Master of Arts in Jewish Professional Studies from The Spertus Institute , Ms. Dolgin is a Master Teacher and co-founder of the Moadon Kol Chadash, an informal after-school program focusing on Hebrew and Israeli culture. The Gan Gani’s preschool program, in and of itself, successfully promotes development of thinking and learning skills, social and emotional balance, cultural enrichment, and cognition; it supports conflict resolution, critical thinking, development of age-appropriate understandings for personal hygiene, and “thinking green.” It promotes formation of social skills and adoption of behavioral norms, as well as the recognition of Jewish and national values…and it does it all in Hebrew! Through creating a stimulating environment that constantly exposes the children to Hebrew, the teachers provide opportunities to see, hear, read and write the language. Adding selective use of technology, employing multiple teaching methods, and using a highly trained staff, the Gan Gani program nurtures Jewish identity, familiarizes students with their cultural heritage and makes them feel part of a larger community. The Gan Gani program is highly experiential and the conscientious use of multiple teaching modalities ensures reaching each child at his/her level. 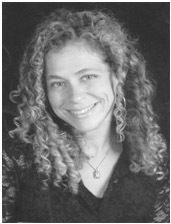 With her unique approach to prayer education, New Jersey educator Sara Stave has won the $5000 award for 2010 from the Mintz Family Foundation for Creative Jewish Education. Piloted in 2005, Stave’s innovative T’fillah curriculum, Siddur Sababa was introduced to middle school students in 2007 and has been inspiring students to connect to prayer through meaningful art, and has been used throughout the country since. The material is in full-color and contains an interactive Siddur and Teachers’ Guide for teaching iyyun t’fillah to young teens. The student essentially creates a prayer diary and takes ownership over his/her own prayer experiences. Students are also inspired by the diagrams to understand the structure of the Siddur and by the artwork to confront and examine various theological concepts. The Teachers’ Guide provides background, ideas and a framework for teaching ‘tfillah in a creative way. In every lesson or activity, students are challenged to demonstrate their ideas, thoughts and understanding of thetfillot by singing, dancing, speaking or creating art. For more information about Siddur Sababa and other innovations by Susan Stave, feel free to contact her at sstave@sabababooks.com. 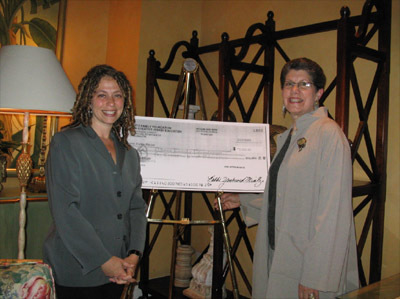 The $5000 Mintz Family Foundation for Creative Jewish Education Award for 2009 has been presented to Deborah L. Coltin, a community Jewish educator and Executive Director of the Robert I. Lappin Charitable Foundation, based in Salem, Massachusetts. The innovative entry is entitled “Pledging Jewish Allegiance: Exploring Mitzvah, and Loyalty to God, Others, and Ourselves.” Based on the diaries of a Holocaust survivor, a dynamic and interactive nine-session Jewish family education program was devised, wherein pre-B’nai Mitzvah boys and girls, along with their parents, could safely explore issues of Jewish identity and tradition. The intergenerational (and, in some cases, interfaith) families gain a sense of the ethical lessons that can be learned from knowledge of the Shoah. They gain an appreciation for the personal relationship to the Jewish family and an ability to verbalize their own feelings of Jewish pride. While exploring their own Jewish roots, families also, acquire the ritual of the Bar/Bat Mitzvah, acquire synagogue skills, and explore the concept of God as well as the role of prayer in ones life. Families who have taken the course not only continue to be in contact with one another, but have become more active in Jewish life in their communities. 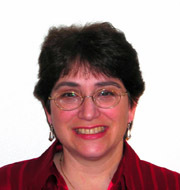 A distinguished leader in Jewish education on the east coast, Ms. Coltin is well-known for her excellence in family education, and has been recognized by the Grinspoon organization, Solomon Schechter schools, the Jewish Community Center, United Synagogue of Conservative Judaism, and Hebrew College. As the chief architect of the Robert I Lappin Foundation’s award-winning educational Jewish programs, Ms. Coltin has also achieved distinction for her “Youth to Israel,” “Women to Israel,” and “Teachers to Israel” programs. Congratulations to Ms. Coltin for her outstanding program submission and thank-you to all who applied for the 2009 award. The $5000 Mintz Family Foundation for Creative Jewish Education Award for 2008 has been presented to the energetic and innovative team of Rabbi Marcia Prager and Rabbi Shawn Zevit, co-Directors of the unique “Davennen Leadership Training Institute” (DLTI). The pan-denominational two-year retreat-based program trains individuals in the art of leadership in Jewish communal prayer. Now in its fifth two-year, over 200 rabbis, educators, cantors, and lay leaders, from across the world and touching all Jewish denominations, have graduated from the course, and the ripple effect of their emerging leadership has been remarkable. Participants have expressed their joy in gaining deep understanding of the inner structure of Jewish prayer; they feel that they have found grounding in the liturgy and the array of contemporary innovations, and have become skilled in leadership through “master-class” style coaching that enhances their range of personal presence. The creative services inspired by DLTI have spilled over into newly emerging chavurot and congregations where spiritual growth is a focus; and the traditional skills in nusach ha-t’fillah and Torah-leynen are fully integrated with creative, intimate, and inspirational services. We wish Rabbis Prager and Zevit a hearty mazal tov and commend them on the outstanding success of the Davvenen Leadership Training Institute graduates. We thank all who applied for the 2008 award and invite them and all involved in Jewish education to apply for the 2009 award. Donations towards further awards are also gratefully accepted and are tax deductible to the full extent of the law. Jerusalem resident, Rabbi Ruth Gan Kagan has been awarded the $5000 Mintz Family Foundation for Creative Jewish Education Award for 2007. The prestigious award was presented for her cutting-edge work in creating a warm and welcoming egalitarian prayer community bringing together Jews from all backgrounds in a spiritual space unlike any other in Jerusalem. Nava Tehila, a Jewish Renewal Community, infuses its services with song and dance and a joyousness that is reaching out to a diverse demographic. Upon receiving news of her having won the award, Rabbi Gan Kagan expressed her joy and immediately asked if it could go for the recordings or web-site or into the community. Her selfless pursuit for excellence in the Nava Tehila community is apparent to all. 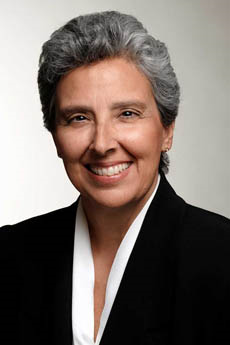 Rabbi Ruth Gan Kagan is an active member of OHALAH, the Association of Rabbis for Renewal Judaism, an international organization of rabbis, cantors, and rabbinical and cantorial students from across the entire spectrum of Jewish denominations. For further information on Nava Tehila – A Jewish Renewal Community in Jerusalem, please contact Rabbi Ruth Gan Kagan at navatehila@gmail.com or call her directly at 011-0720206716636. We wish Rabbi Ruth Gan Kagan continued success and applaud her for her innovative work. We thank all who applied for the 2007 award and invite them and all involved in Jewish education to apply for the 2008 award. Donations towards further awards are also gratefully accepted and are tax deductible to the full extent of the law. Ms. Gaudynski is Teen Enrichment Programming Coordinator for the Coalition for Jewish Learning and teaches 8th grade at Congregation Emanu-El B’ne Jeshurun in Milwaukee. The Jewish Teen Days programs were designed to enlist teens to be a part of the planning that would, in turn, help teens to strengthen Jewish identity. With over 200 teens from the greater Milwaukee area gathering for each day, the youngsters experienced learning within an informal, affective and highly effective environment. When asked what receiving this award has meant, Ms. Gaudynski replied: “It is difficult to adequately express in words how much this means to me. For the past few years, we at the Coalition for Jewish Learning have been striving to create innovative and effective educational programming for teens. Your recognition is a resounding indication that we are moving in the right direction. In the past two years, we have created two stand-alone programs, Jewish Teen Day of Discovery and Teen Day of Social Action, with the hope that these events would not only become annual occurrences, but also spawn other events and programs. This year, while continuing to offer these twoDays, we have initiated two new projects, Jewish Teen Day of the Arts and the Young Jewish Filmmakers’ Project. Your recognition and financial support will allow us to build on these initial efforts and to develop them into a new paradigm for working with the Jewish teens who are our very future. Thank you for your holy work; it is so important to Jewish continuity.” For further information on the Jewish Teen Days projects, please contact Ms. JoAnne Gaudynsi atjoanneg@milwaukeejewish.org or call her directly at 414/962-8860. We proudly recognize JoAnne Gaudynski as the most innovative teacher of the year, and thank all who applied for the 2006 award. We invite them and all involved in Jewish education to apply for the 2007 award. Donations towards further awards are also gratefully accepted and are tax deductible to the full extent of the law. On Lag B’Omer 5765, Friday, May 27, 2005, Rabbi Shawn Fields-Meyer received the inaugural award for Creative Jewish Education. The $5,000 check was presented to her, at a brunch in her honor at the Loew’s Beverly Hills Hotel in Los Angeles, before more than fifty friends, family, and other individuals directly impacted by her work with project “Ozreinu,” a Torah-text based support system for parents of children with special needs. Ozreinu’s monthly sessions involve personal reflections on selected Torah texts as they relate to the challenges of special needs’ children. Four groups are currently meeting in Los Angeles; and Rabbi Fields-Meyer is forming more groups in cities across the United States. For further information on Ozreinu, please contact Rabbi Fields-Meyer at ozreinu@yahoo.com or call her directly at 310/920-5443. We proudly recognize Rabbi Fields-Meyer as the most innovative teacher of the year, and thank all who applied for the 2005 award. We invite them and all involved in Jewish education to apply for the 2006 award. Donations towards further awards are also gratefully accepted and are tax deductible to the full extent of the law.